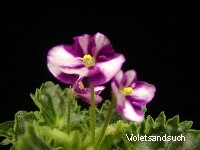 Soft pink, single and semidouble chimera pansies. 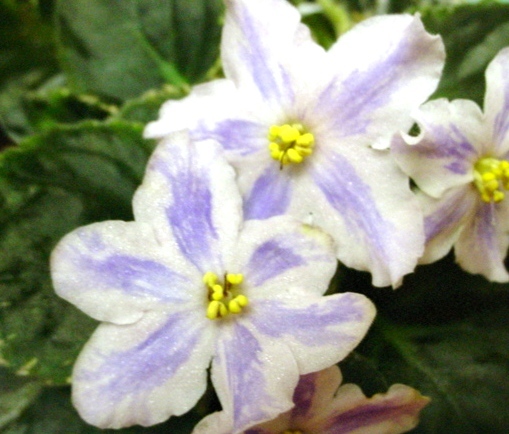 Each petal has a light blue center stripe, with darker blue fantasy specks dancing on each flower. 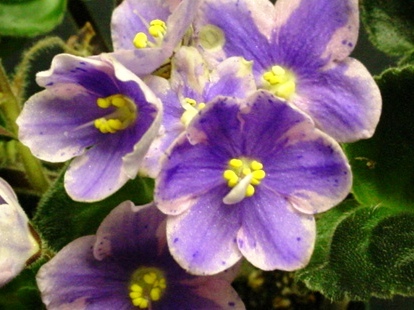 Variegated, dark green foliage, beige standard foliage, quilted. (V.VanPatten/R Albro) Large pink double and semidouble stars with chimera white stripes. Light green standard foliage. 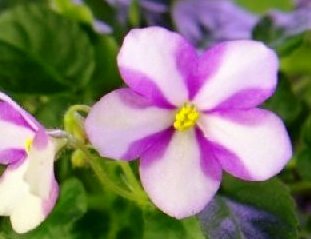 (P Sorano) Fuchsia chimera, single and semidouble pansies, with a purple center stripes. , geneva edge w/ fantasy specks. 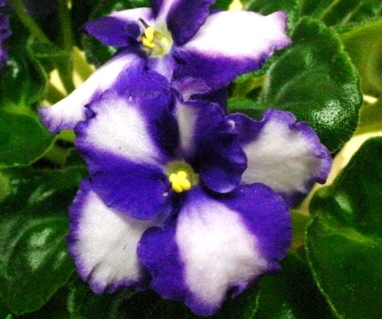 Medium green, standard foliage lightly variegated on the leaf edges with ivory. 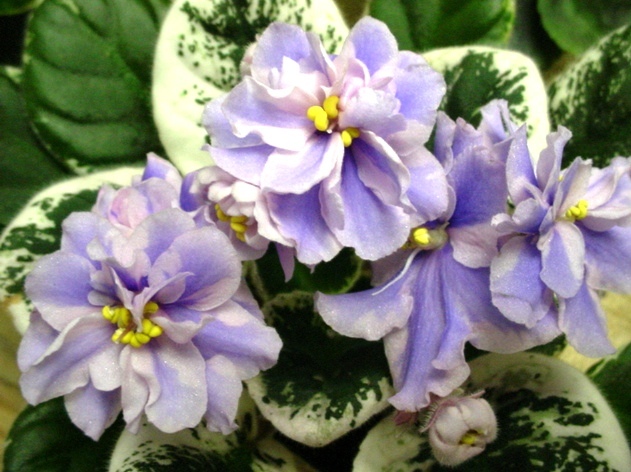 (P Sorano) Single and semidouble chimera, lavender-pink pansies, slightly cupped, with dark blue fantasy specks, on a blue center stripe. 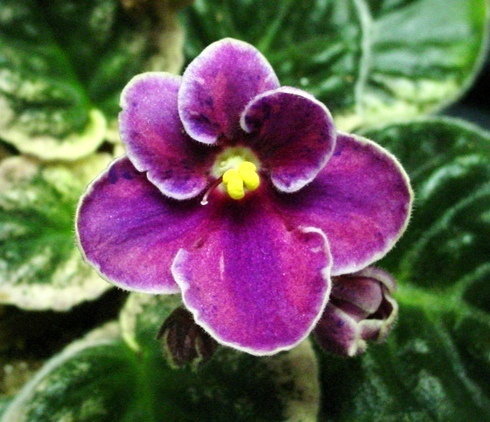 The standard foliage is dark green, with beige and light green variegation on the leaf edge. Single pink chimera stars with lavender-blue pinwheel stripes. Dark green, heart-shaped, red back foliage. Standard. (P Sorano) A white pansy chimera with pink tones throughout. 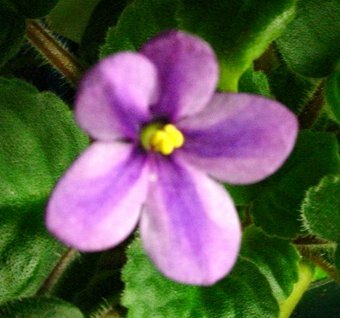 The flowers are single and semidouble. 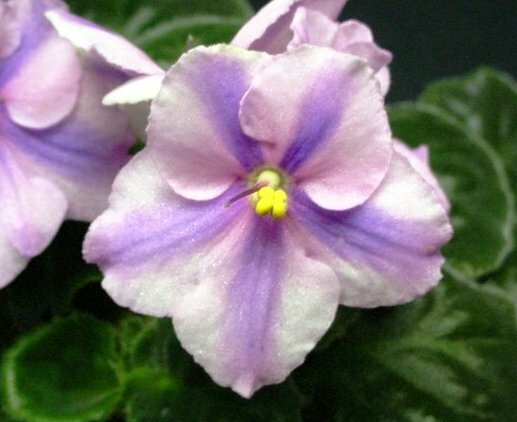 Each petal has a lavender / pink center stripe, with fantasy streaks throughout. Dark green, slightly wavy, standard foliage. White pansy with pink tones throughout. The flowers are single and semidouble. 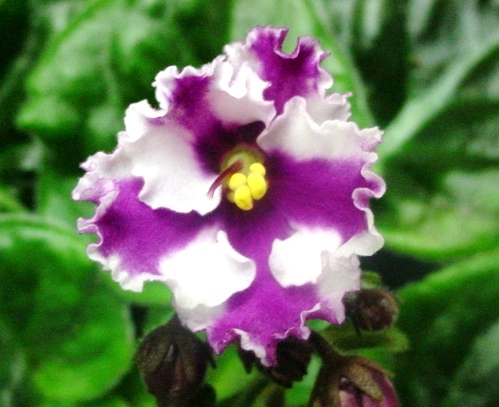 Each petal has a lavender center stripe with pink highlights. Dark green, slightly wavy, standard foliage.